A metronome that follows you! When we wanted to play pieces that had complex meter changes/rhythms, traditional metronomes became useless because they could not change as the meter changed. Thus, we wanted to create a metronome to solve this problem. 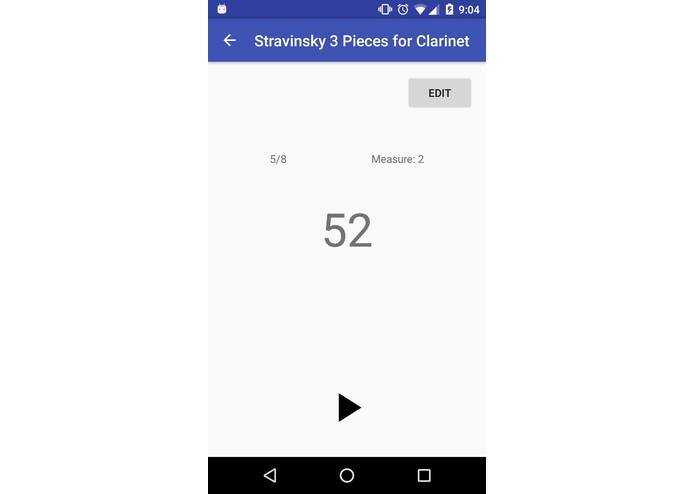 The user can preprogram the metronome to accommodate meter, tempo, and rhythmic changes. We used Android Studio and Github. Improve the UI to look more pretty :D.